You can pretend to read from it in the bus, when in fact you spy the hips of the pretty girl standing by the door, or the handsome man in front of you. You can lay it flatly on your head and walk with it about your room, trying not to let it fall, practicing equilibrium and grace. You can flip through its pages, smelling the cozy ink and paper, wondering whether there’s a more comforting smell in the world. You can put a leaf, a flower, or a butterfly between its pages and dry it in a most romantic way. You can leave it on your desk or nightstand for weeks or months on end, so you can enjoy its cover in passing, or purely for decoration. You can lend it to friends to help them pass the time, and who knows, they may even like it. You can hold it in your hand and with a sigh remind yourself that it had once been a tree sometime somewhere, whose leafy breath filled someone’s lungs with life. You can drop it by mistake on the floor and then pick it up, without fear that it has been broken. You can, if it’s not a particularly heavy book, fan yourself with it, cooling your face on a hot day. You can even throw it at someone in self-defense if you have to — better not — but if you do, most of the time it will still be readable after. You can pick it up and hold gently, like a lover’s hand, and you can peep at any page, murmur any paragraph, caress any words, and you can do it without a serious commitment; the book won’t mind. You can write all manner of notes, declarations, and phone numbers in the margins and pass them on to unsuspecting persons, with good or bad results, you never know. You can write on the first page a dedication and give it to someone, and even if they won’t care enough about you to read the book, it would still remind them of you. You can bring it close to your ear and thumb it like a harp, while the cool breath of its pages whispers in your ear the secrets of the tree from which it was made. You can take it as a timeless invitation to that place of dreamless dreams and perfect intimacy of the mind where readers go when they begin to read. For all these reasons, and for many others left unsaid, buy a book when you have the chance, any book, for there are few better ways to spend your money. What else can you do with a book? Great illustration on the versitility of the humble book, so much more than it appears. If you do not like a book and it is heavy it works as a door stopper. If you run out of toilet paper take a leaf out of the book. If you are a collector of dust leave some on a shelf and they will collect it with no effort at all. Beautiful words from a Literary heart…. Pingback: Things You Can Do with a Book, Apart From Reading It — boy with a hat | LGT41 – My Blog Page – Welcome Friends !!! Lovely words, Vincent. You can turn it into an e-book, but it’s not the same thing, is it? I have done all of the things you mentioned in your post…except completing and arranging all of my own writing and finding it published. Here is my next way of avoiding the inevitable, trying to organize my writing and publish. I think I must fold some pages now…have you done this yet? If you are afraid to click, I understand. I hope you are not. 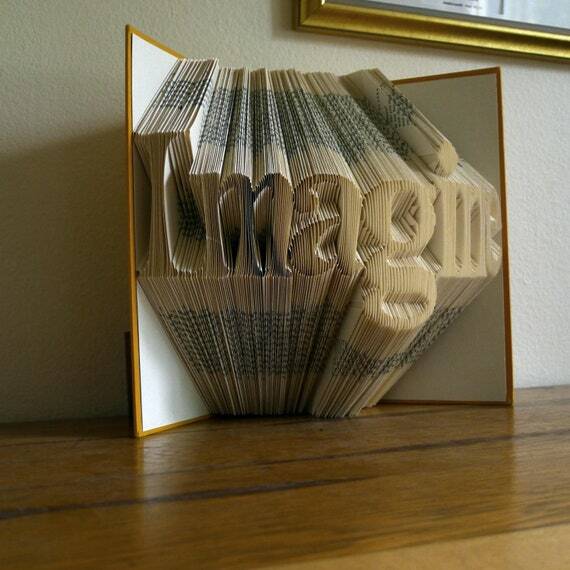 It’s a picture of something that another artist creates with books and I didn’t want to share it without permission. She does sculptures from pages full of words by other writers who needed to express ideas… now folded in patterns that create a new art form. It’s a very cool idea, if you have an old book that needs to be re-purposed. I’m not good at following instructions, so I am sure my attempts to fold pages might be a little off kilter. How can I be afraid of a little innocent click? That’s one interesting book there… Thanks for sharing! She must be quite dexterous to do that, I imagine.